In the early 20th Century, Little Lon was one of the most notorious districts in Melbourne, affiliated with criminals, gangs and brothels. Around the same time, Charles Arthur Floyd was gaining a reputation as one of the most prominent gangsters and bank robbers in the American Midwest. His youthful looks and smart attire earned him the nickname Pretty Boy Floyd; a name that would come to be known throughout America and around the world. One of America’s “best-loved bank robbers” and named “the Robin Hood” of the Cookson Hills” by Oaklahoma locals, Pretty Boy Floyd was known for allegedly freeing debt-ridden locals by destroying mortgage papers at many of the banks he robbed. After a string of high-profile bank robberies Floyd was named Public Enemy No. 1 in 1934 and was shot and killed in a shoot-out with police later that year. 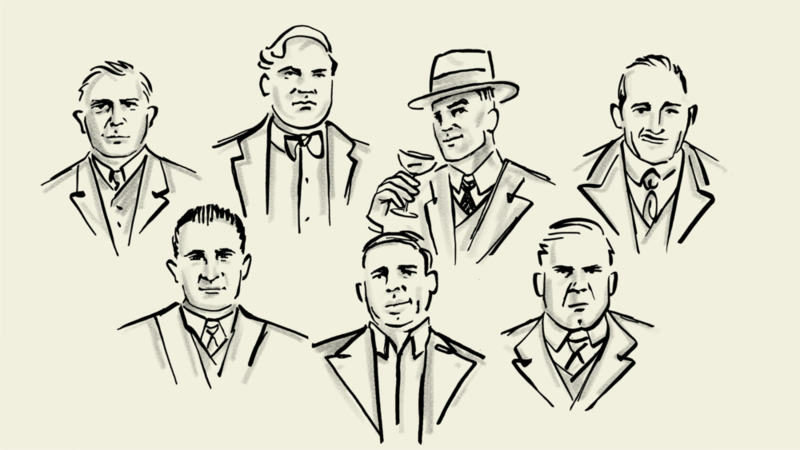 Like many gangsters of the era, modern opinion of Floyd is divided. While many see him as nothing more than a violent outlaw, others remember him as a farmer forced into a life of crime through financial hardship, and one that always looked after his own.